Manchester United have had many a crunch game in their history. Some have won them titles, others have featured stellar comebacks. This was a much more sober occasion, when United had to win. Both to alleviate pressure on their beleaguered boss and to do justice to the undoubted talent in their team. And win they did, with a fine response against Burnley. United always looked the better side, even when down to ten men. At the full time whistle, as Jose Mourinho handed his jacket to the adoring away fans, he could afford a smile in what has been a very trying time. United were smooth and slick, straight from the off. Many a United fan had furrowed brows at the sight of Fred on the bench, and his replacement in Marouane Fellaini. United also restored Alexis Sanchez and Victor Lindelof to their side. Often treated harshly by even his own fans, Fellaini instantly justified his selection. He dropped alongside the center backs in Chris Smalling and Lindelof, shoring up United. United had conceded six goals in their previous two games, and Mourinho was enforcing change to stop the rot. Fellaini also moved the ball into midfield without any fuss for his team. Paul Pogba looked a whole lot more like the player the football world saw in France. Perfectly weighted cross field switches to the men out wide flew from both his feet with pin point accuracy. There was nothing fancy or unwarranted, he simply kept the game ticking. Up front, United caused mayhem. A front three of Jesse Lingard, Alexis Sanchez and Romelu Lukaku caused the Burnley rear guard all sorts of problems. The three seemed to be constantly moving about, making runs and linking up with each other beautifully. United were soon in full control. Lingard had a curler fizz just wide in the very early moments. It felt like the Spurs game, and thankfully this time United had the goals to go with the performance. Lukaku met Sanchez’s lovely pick out for the game first goal. 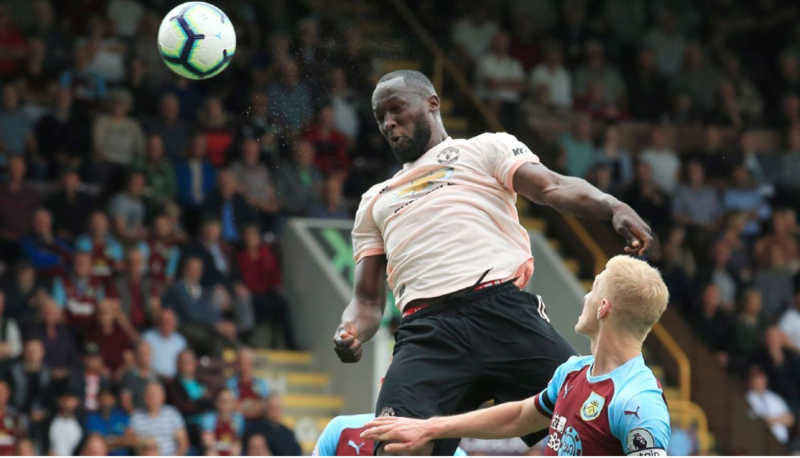 A good positive surge from Luke Shaw down the left eventually led to a spot of pinball in the Burnley box, from which Lukaku drove into an empty net and doubled United’s advantage close to half time. Burnley started to go for it in the second half which made the match edgy.Mourinho brought on Rashford, in an attempt to try and stretch the play on the break. United immediately started to find rythm again. 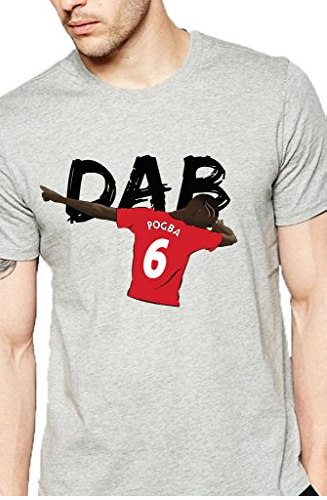 Rashford earned a penalty, which Pogba failed to convert. It seemed as if Jose’s plan would eventually result in a game killing goal. 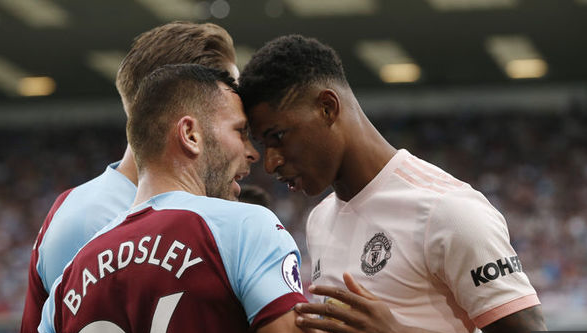 Such hopes were short lived, as Phil Bardsley’s naughty touch on Rashford made the forward incandescent with rage, and his poor reaction led to his demise. United did do well, to hold out under increased pressure. United still continued to create on the break, through Pogba and Lukaku. The latter should have had United’s first post Sir Alex hat-trick in the league when he was one on one with the keeper late on. Eventually, there was as much relief as joy all round as the whistle blew and United secured three points. United have now registered 21 and 22 attempts in their last two games against Spurs and Burnley respectively. 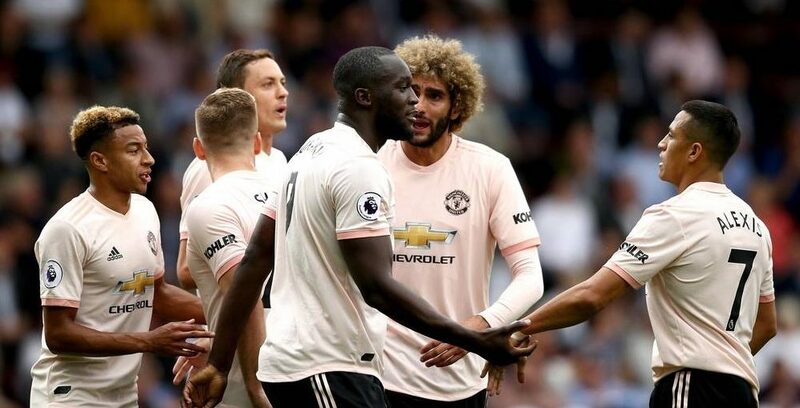 As Lukaku alluded to after the game, a lot of things seem to be looking livelier in United’s football. There seems to be link up plays, runs in behind and interchanging between the forward line. United fans will hope this is as much down to Kieran Mckenna and Michael Carrick’s work at Carrington as it is the quality of their players. United have to possess a consistent attacking methodology if they are going to achieve their targets this year, and their coaches might be crucial in that regard. A lot of appreciation is also due for Fellaini. For a man who is often belittled by his own fans, he still remains an outstanding servant to Mourinho, executing any role he is called to. As for Jose himself, this win brought a twinkle back to his eye. He could afford to smile again. It has been a harrowing time for the United boss, and he knows this result was a welcome one. As he celebrated with the travelling fans at the end, you could see the relief. An international break now unfortunately disrupts this momentum. However, it also breaks the high that their next opponents, Watford, are currently on. When United go away to Vicarage Road, they will have to be cautious, but play the game they did at Turf Moor. Having played on Thursday night Burnley were jaded. And there is not a lot one can read into United based on this game in isolation. But in a week where Mourinho demanded a response for the sake of the club’s brilliant fans, his players delivered. They did fight for the badge as a unit. Can they now start fighting to build something big on this?